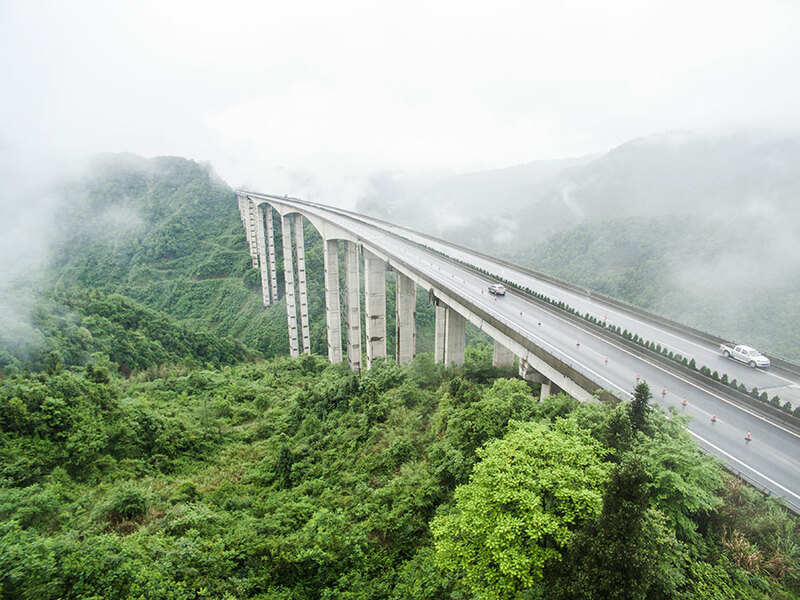 The Labajin beam bridge is located near Yingjing in Sichuan Province on the G5 Beijing-Kunming Expressway. Its No. 10 pier rises 600 feet (about 182.5 meters) from the foundation and supports the ends of the two largest spans of 656 feet (200 meters). With a total length of 1,140 meters, the bridge also has a parking area that allows tourists to take in the amazing view.